Why Nurses Need A Google Doodle: #RN Innovator No. 12, Gabo & The Pen. What a memorable day. I rode, I ate, I laughed, I burned, I swam. 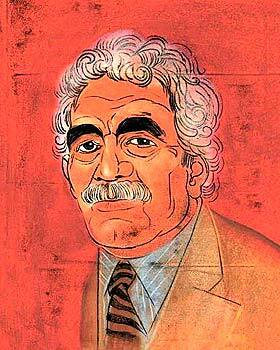 After I heard of Gabriel Garcia Marquez’ passing, I thought. There will never be enough of his words in the world for me. Naturally, I wrote to the Doodlers about him, and about a nurse called Cortney Davis, who, like Gabo, writes to remember. I’m ending today inspired by them both. Tonight, it seems impossible to talk about anything else but the passing of Gabriel Marcia Marquez. His presence in my life, and in so many lives, took my thoughts for the remainder of the day’s minutes after hearing of his death. I first escaped into his magical world when a friend gave me One Hundred Years of Solitude after a painful breakup. Macando and the Buendia’s brought me through the painful days of emotional grief, their mystical connections a perfect escape from my raw reality. I read the whole book – all one hundred years – on a raft in the tiny pool behind my grandmother’s house. The crumbling stucco walls and hot Florida sun transported me into the home of the characters I consumed. The perfect medicine. Funny, to be near the same pool today. In his autobiography, which I admittedly must finish, Marquez famously said, “Life is not what one lived, but what one remembers and how one remembers it in order to recount it.” This statement rings particularly true, on a day where I spent many hours on a bike trying to figure out how to remember and share the many stories of my seven year nursing career. So many people touched, yet so many details unrecorded. I know they remain, but the memory of them lies deep within me. Perhaps waiting to be recovered, perhaps gone forever. Have I not lived, as Marquez seems to suggest? For me, this is an evolving problem that remains unsolved. But for Cortney Davis, a nurse poet and writer, the act of living is most certainly linked to her recounting of the work of her nursing life. Her bio speaks for itself – author of multiple volumes of poetry, poetry editor of food literary magazine Alimentum, widely known speaker – Davis is a clear participant in the innovative spirit of nursing through her writing. Recently living and currently alive, these writers inspire me to delve into the words within me, to share the brimming stories of life and death and recovery and demise that I’ve already written with my work. To continue playing around with diction and grammar and form, until I remember those I’ve forgotten and begin to truly live. Today, I’ll not soon forget the life that moved forward to the next.